Madagascar cumin, SA.VA. Import – Export, 5€ for 30grams. Cumin is a favorite ingredient in my kitchen, and a key spice in Mexico, India, and many other food cultures. To satisfy my need for bulk cumin, I usually buy a 1kg (2.2lbs) bag that lasts about a year. I compared SA.VA.’s cumin to my usual stuff, and found a huge difference in quality. SA.VA.’s spices are transported by plane, rather than hot containers on a ship, to ensure maximum taste and freshness. 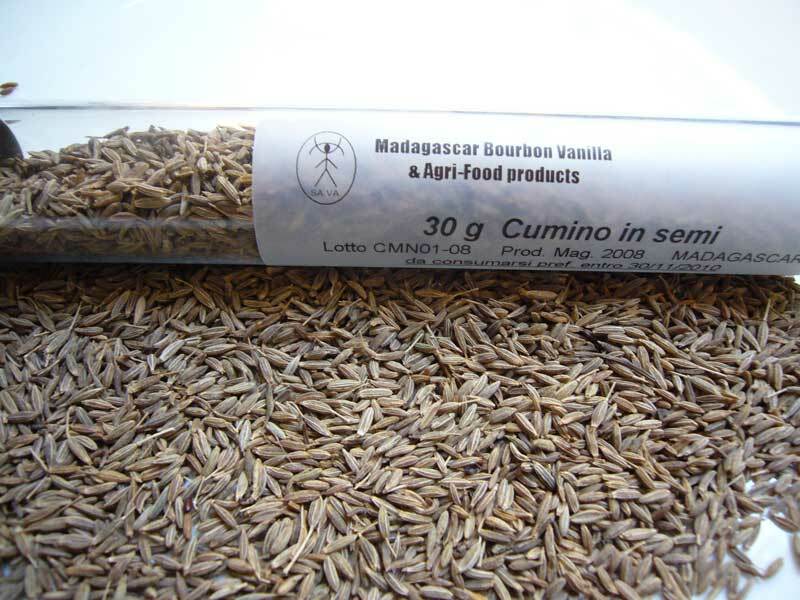 SA.VA.’s Madagascar cumin is an earthy tan color, and has a rich, even floral, cumin aroma. I ate a bit of SA.VA.’s Madagascar cumin and compared it to my bulk cumin. 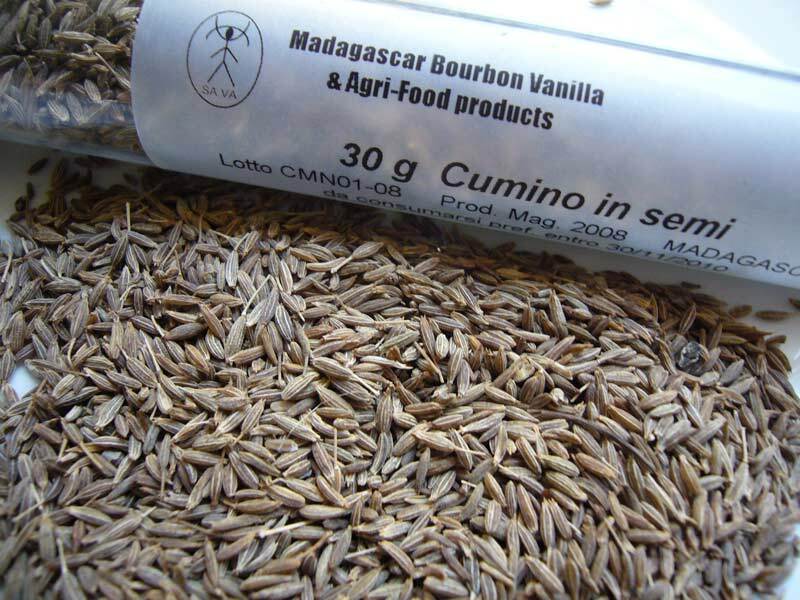 Raw, SA.VA’s cumin has a pleasant taste. In comparison, the bulk cumin is dry, bitter, and has a carroty vegital flavor. I evaluated it further in chili powder, some Mexican dishes, and chicken Andoulle sausage. All had a nice flavor, though it really shines where cumin is a feature flavor. SA.VA.’s cumin is by far the best I’ve ever sampled. In a side-by-side comparison, the sharp contrast with my usual cumin really surprised me. Try the comparison for yourself.